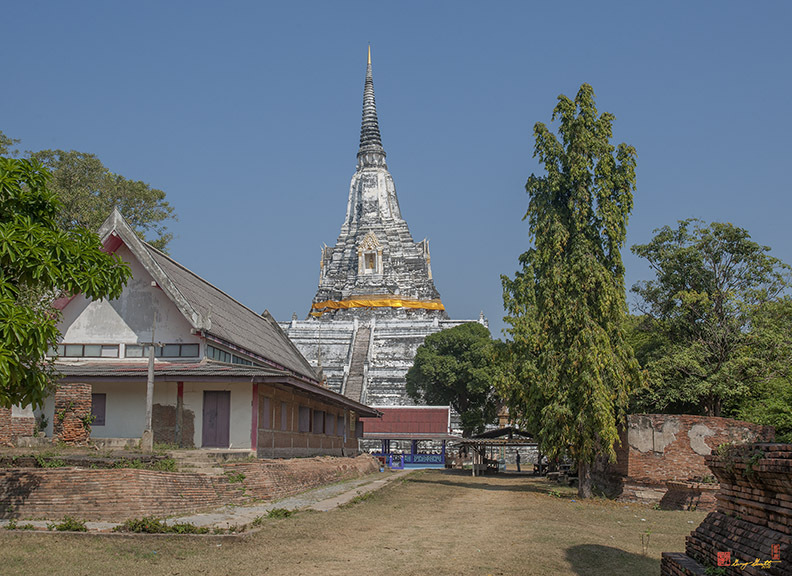 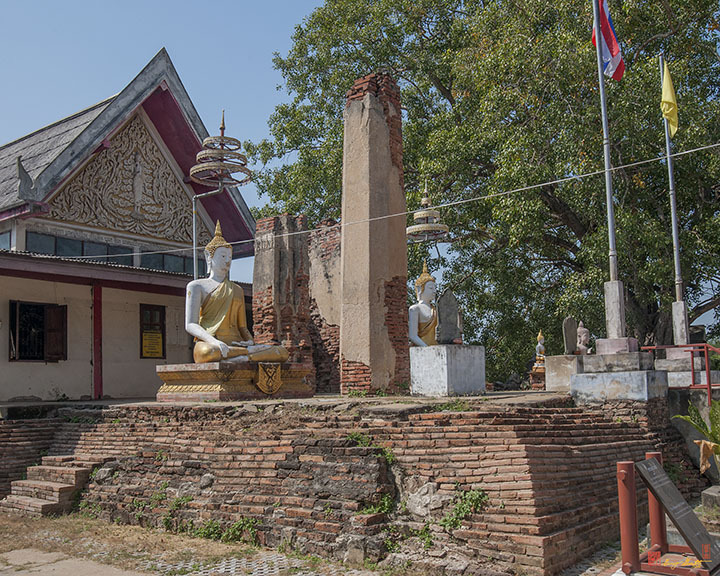 Wat Phukhao Thong, วัดภูเขาทอง, is adjacent to Chedi Phukhao Thong, เจดีย์ภูเขาทอง, which was built by the Burmese King Bhueng Noreng after his conquest of Ayutthaya in 1767. 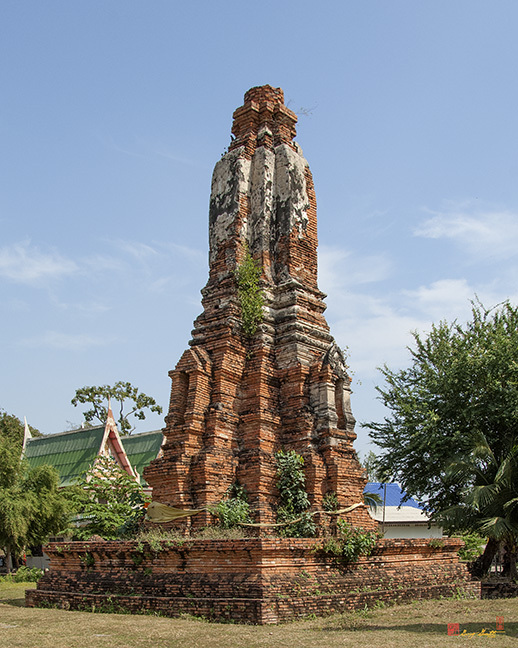 The siege of Ayutthaya lasted ten months. 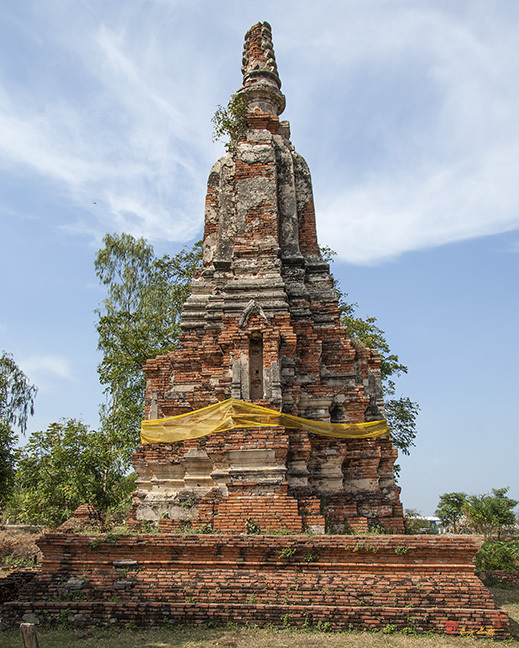 Chedi Phukhao Thong, at 80 meters (260 ft) is one of the highest pagodas in Ayutthaya. 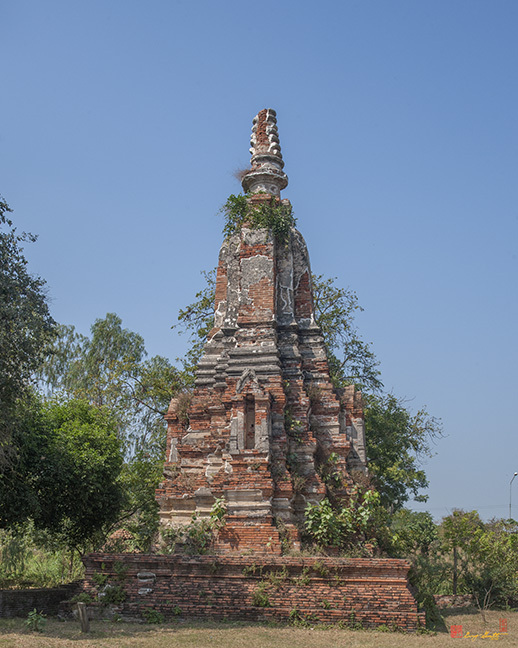 The Wat itself consists of several small chedi ruins and a small brick building that is just overgrown walls. 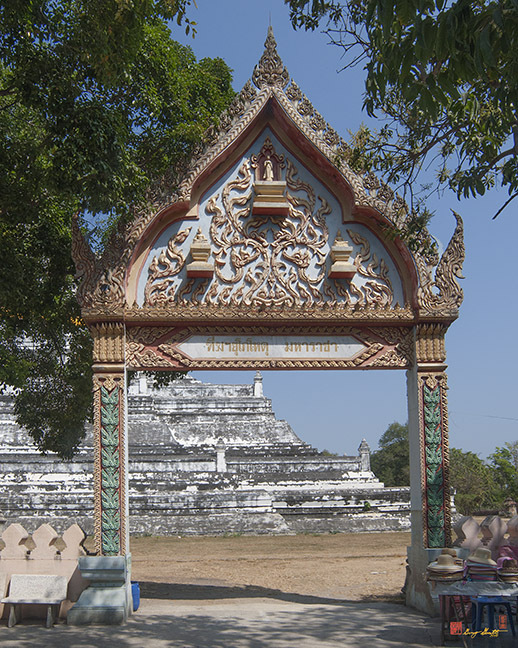 A modern building has been built on the platform of a larger ancient temple, probably the Ordination Hall. 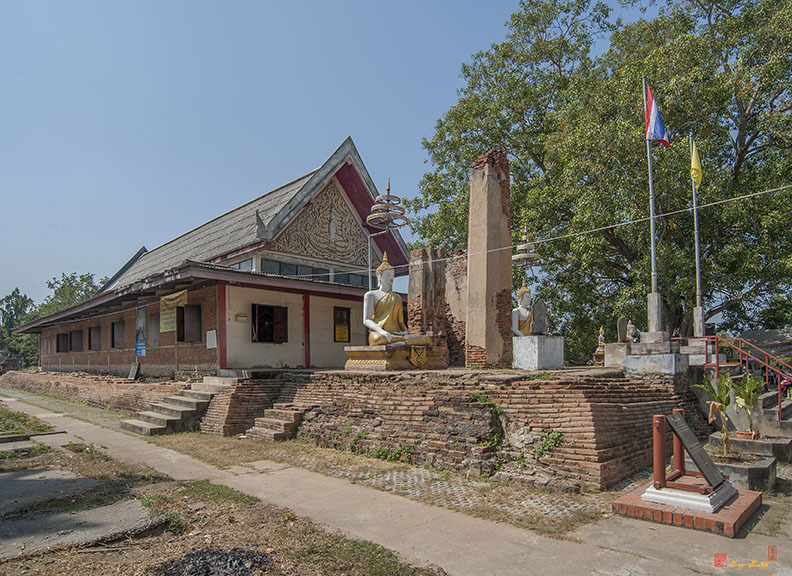 All of this is incorporated into Phukhao Thong Memorial Park which includes a the battlefield where then Prince Naresuan defeated the Burmese after the death of King Bhueng Noreng. 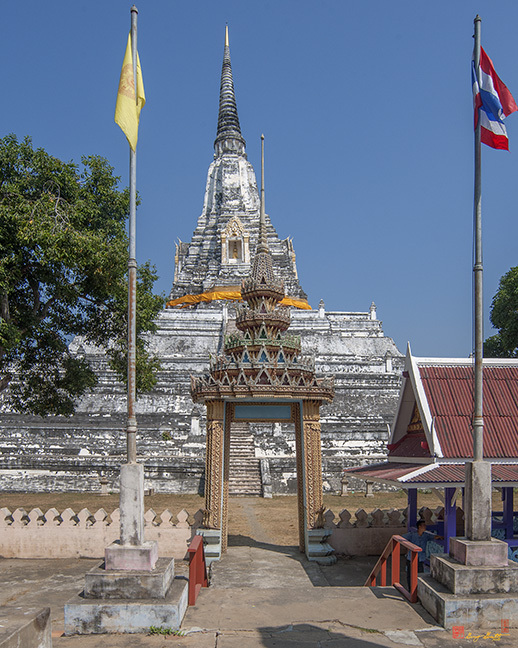 Prince Naresuan ascended to the throne in 1590 after the death of King Maha Thamamaracha.